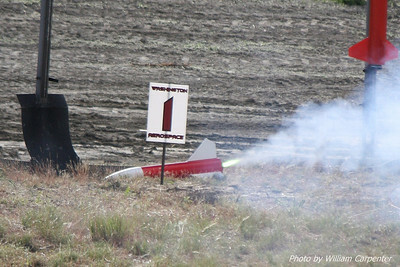 My photos from Saturday at the Washington Aerospace Club's Fire in the Sky 2010 launch at Mansfield, WA. 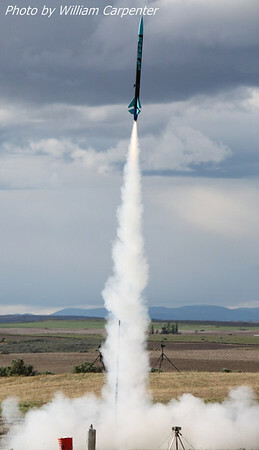 A cropped version ot the last photo showing the impressive mach diamonds put out by Vmax motors. 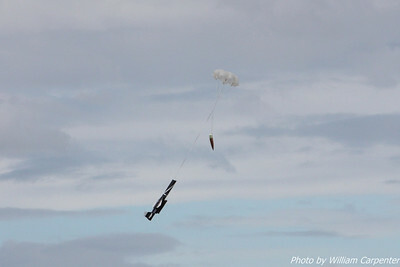 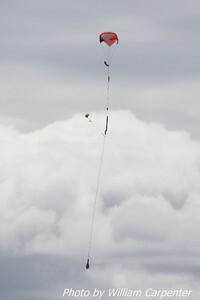 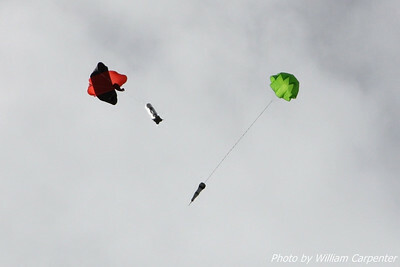 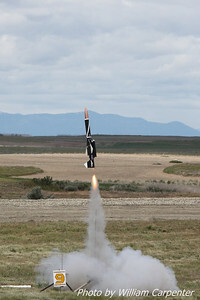 A rocket lifts off from the keyhole on an L-impulse Vmax motor. 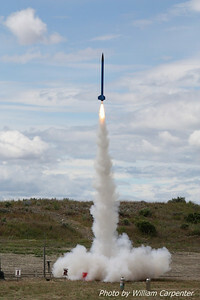 A view of the FITS launch site from the away cell. 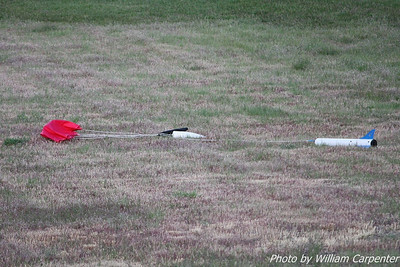 Vern Knowles' "Angelfire" recovers after a successful flight. 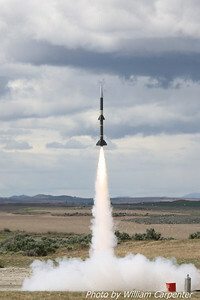 Tim Doll's BOMARC lifts off. 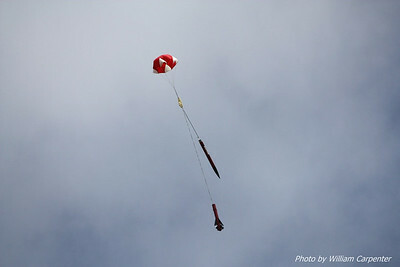 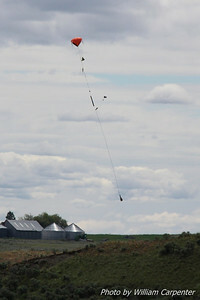 Recovery of Tim Doll's BOMARC. 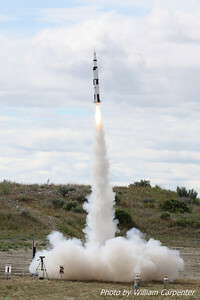 Tim Doll's Saturn V lifts off. 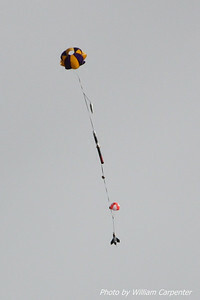 The Saturn continues to climb. 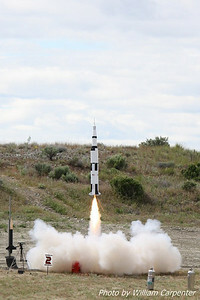 Tim Doll's Saturn V recovers. 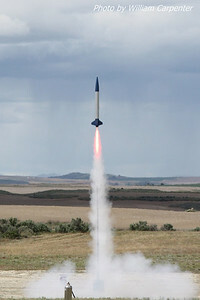 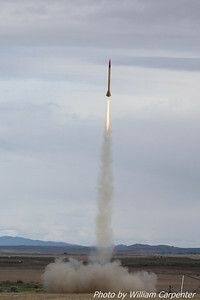 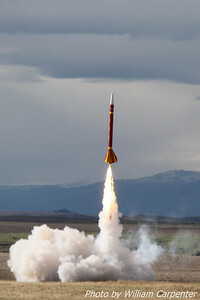 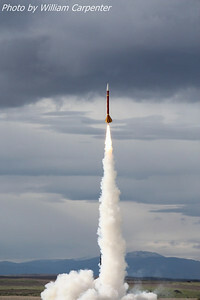 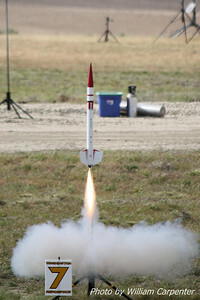 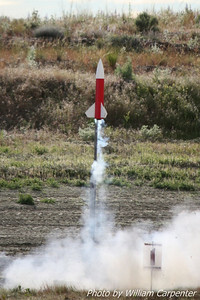 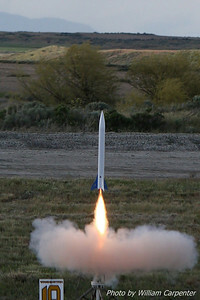 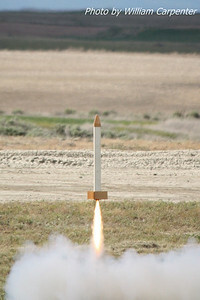 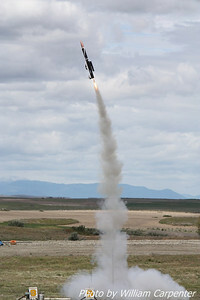 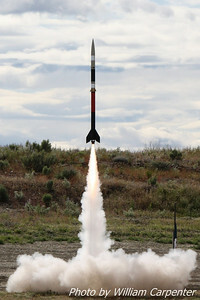 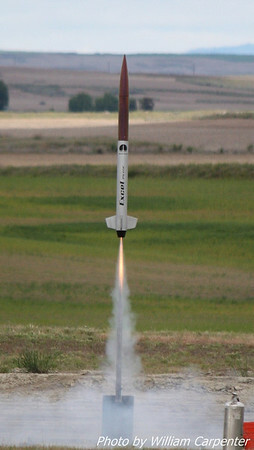 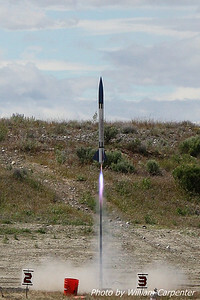 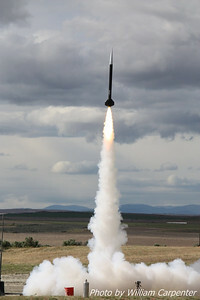 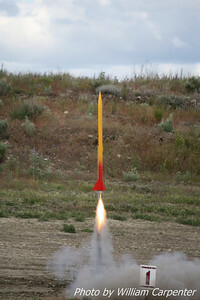 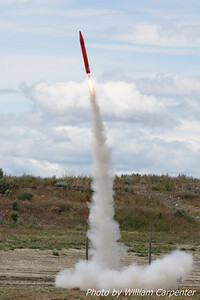 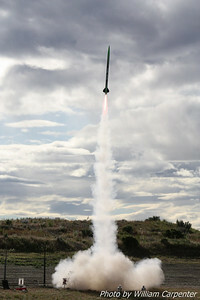 A rocket called "Hip to be Square" lifts off from the mid-power pads. 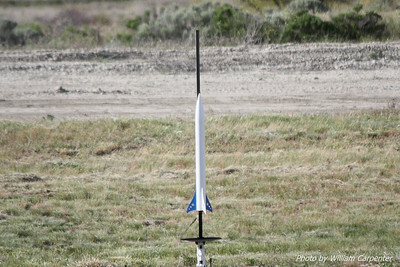 My Madcow Rocketry Solar Express sits on the pad, loaded with a G64. 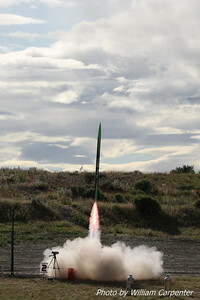 A green G motor CATO in a stubby rocket. 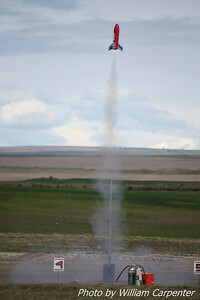 The motor continued to burn on the ground after spitting its nozzle. 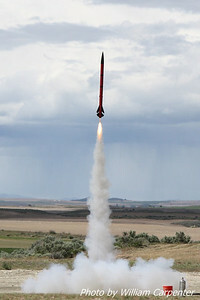 Vern Knowles' "Wildfire" lifts off from the keyhole. 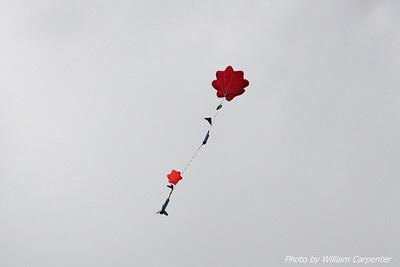 Vern Knowles' "Wildfire" continues to climb. 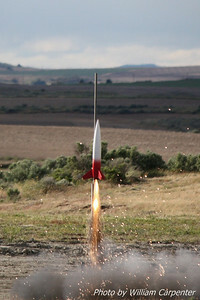 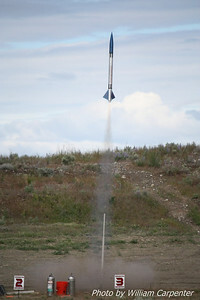 Dave Walp's Madcow Rocketry Squat on a Skidmark motor. 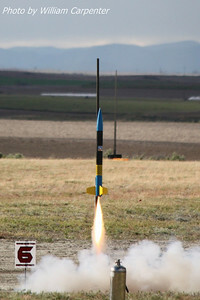 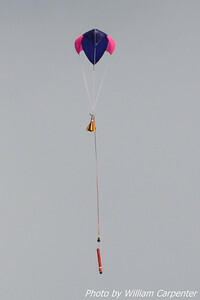 My Madcow Rocketry Solar Express lifts off on a G64. 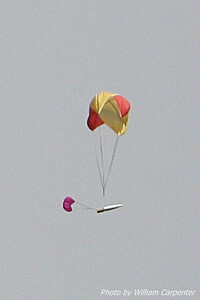 The Solar Express recovered about a half a mile downwind. 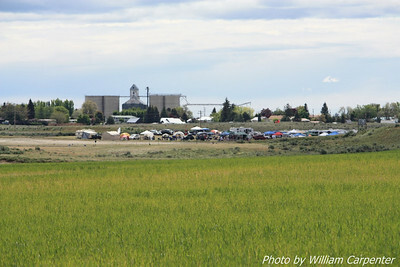 A panorama showing the FITS camp site. 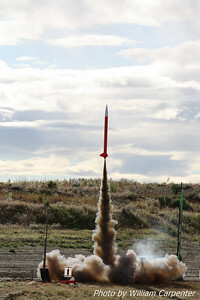 A panorama of the wheat fields surrounding the camp.